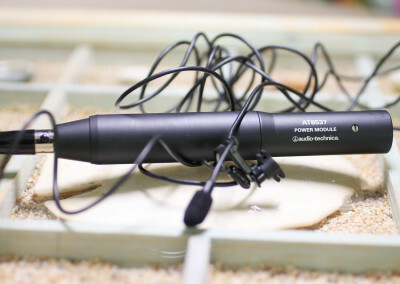 Dynamic microphones are considered the standard in broadcasting and radio. Tend to be gain heavy. 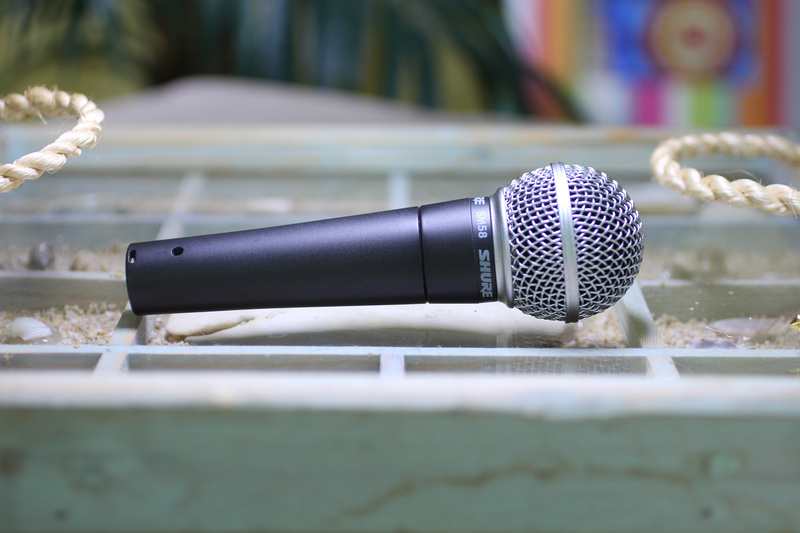 Condenser microphones tend to be very sensitive to room noise and other unwanted noise like breaths and lip smacking and require phantom power typically. USB microphones attach directly to your computer. Simple and easy and usually recommended for people just starting out as they work right out of the box. 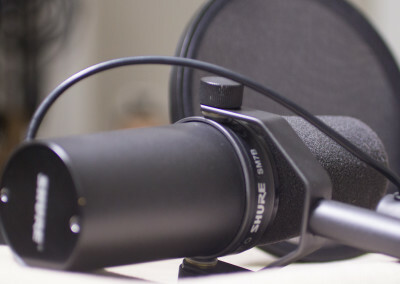 XLR microphones are considered the pro connector and found on most higher end microphones. XLR require either an audio interface like the Focusrite Scarlett 6i6 which is what I use or a mixing board. 1. 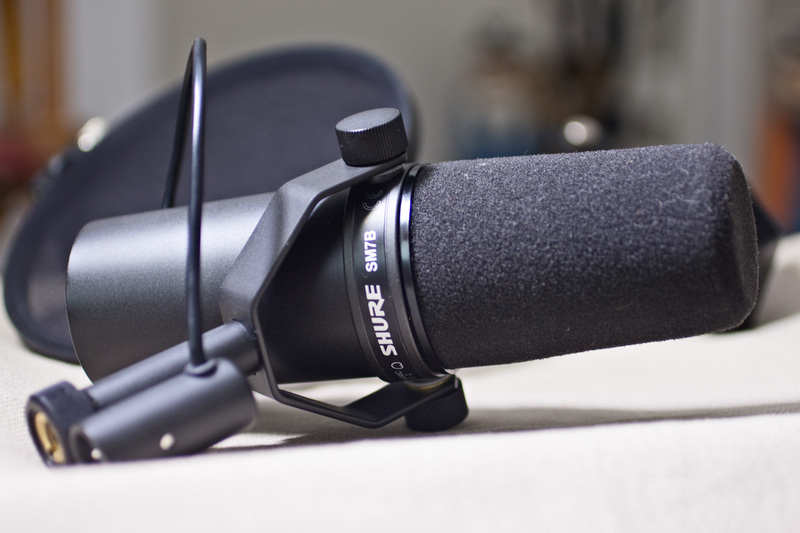 Shure SM7B Dynamic Microphone: My main mic and what I use for podcasting. 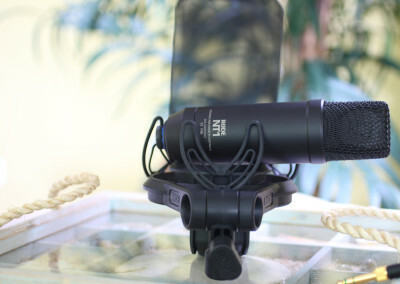 This is a dynamic microphone found in broadcast and radio studios around the world and also a popular music/studio mic. It is most famously referred to as Michael Jackson’s mic on Thriller. 2. Shure SM58. 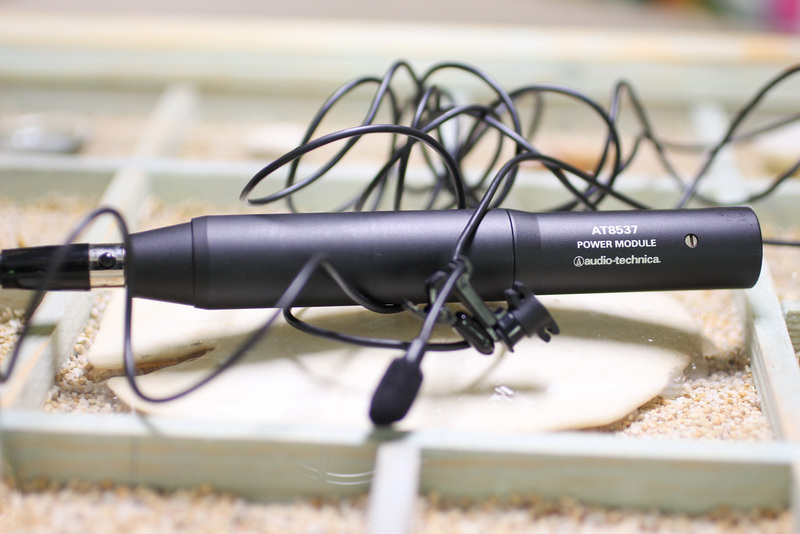 The workhorse of dynamic microphones. 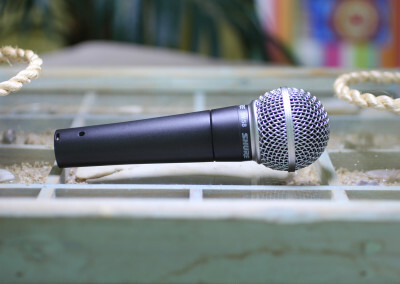 I bought this mic 20 years ago and it is still $99 and still amazing and indestructible. I use the SM58 when I play guitar and sing. Note: Dynamic mics are ‘gain-hungry’ especially the SM7B, meaning you must turn up the input levels high in order to produce sound. To fix this, I recommend using a gain booster. These add gain allowing you to reduce input to get a nice clean sound. Gain Booster Triton Fethead: A must for SM7B to boost gain. CloudLifter is also an alternative. 1. 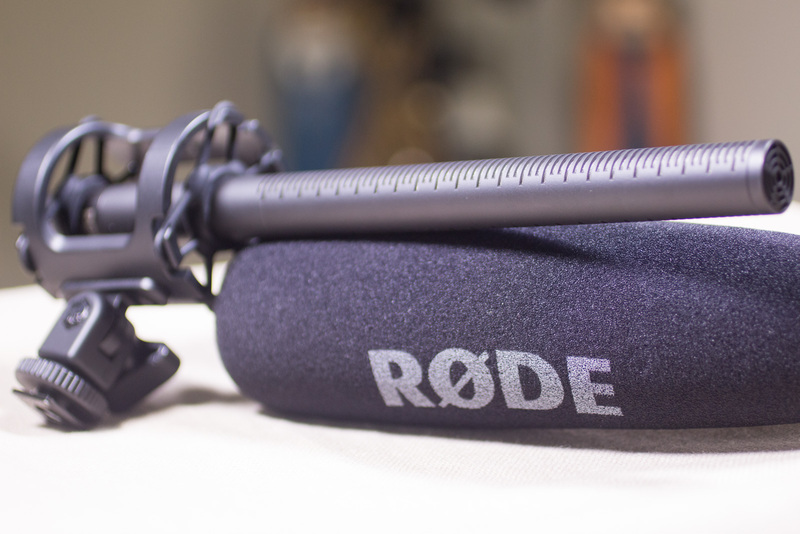 Rode NT1-A Condenser Microphone Cardioid: Amazing sounding microphone. I bought this mic on sale to record vocals while I sing and play guitar. Very clean and quiet. 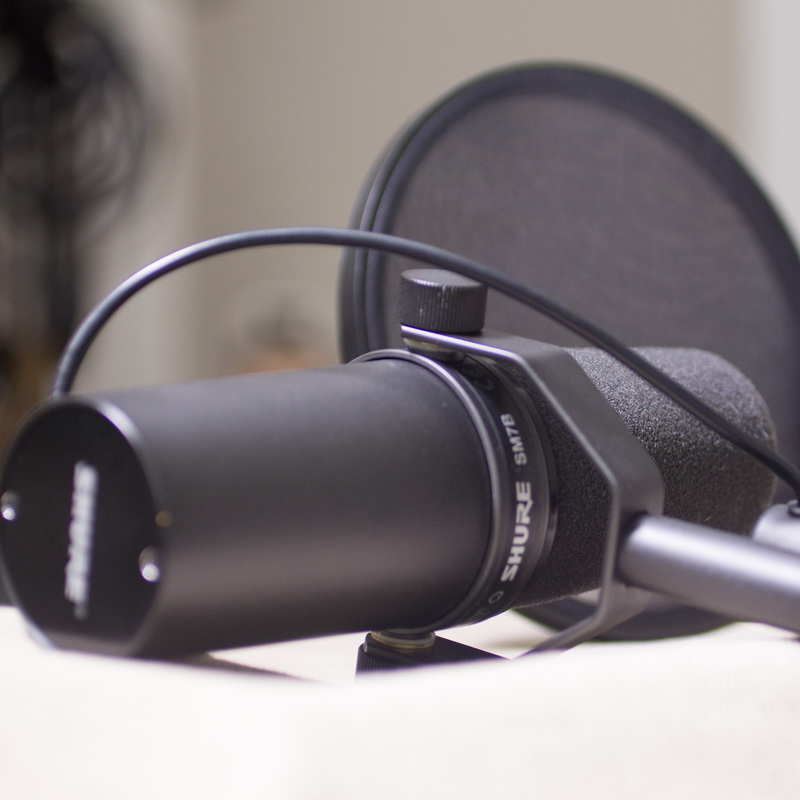 I like it a lot, but not crazy about the shockmount and pop filter. Really big and bulky. More of an aesthetic thing, but it is just a clunky package. 1. 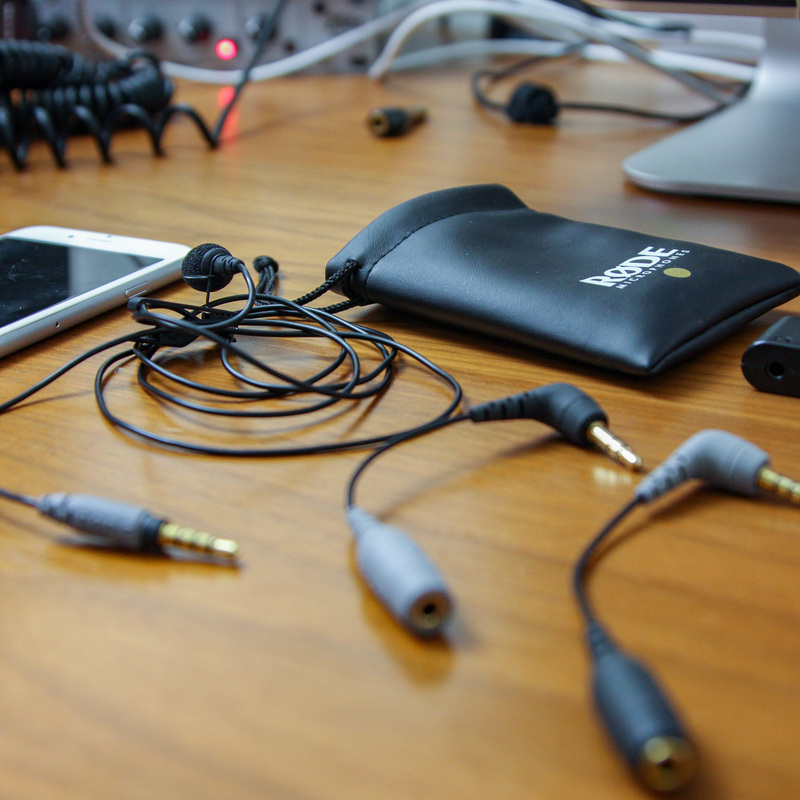 Rode SmartLav+: Powerful little microphone meant for using with smartphones or tablet. Handy in your toolkit. Up your game on #Periscope and #Blab when you are using mobile. Good to have in the kit. Be sure to pick up the accessories. 2. 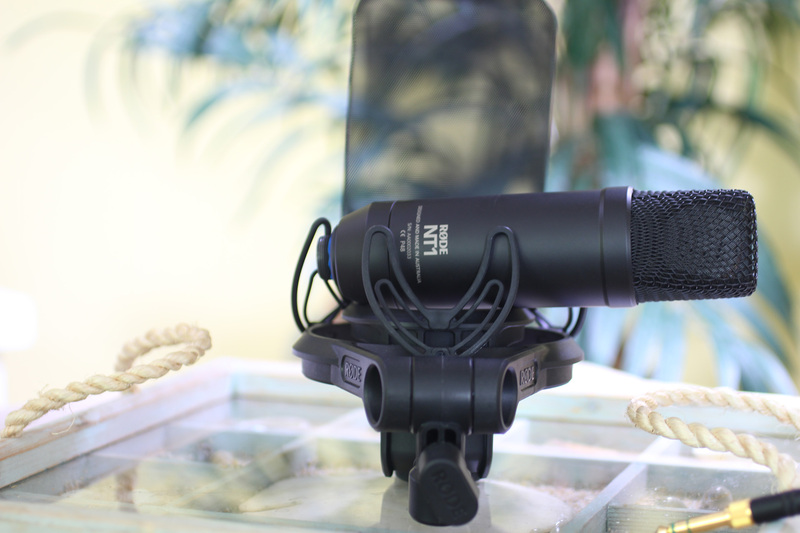 Audio-Technica AT899 Lavalier Microphone: This is an excellent lavalier mic that I got really used, but honestly do whatever I can not to use a lavalier. They just sound ‘throaty’ to me. 1. 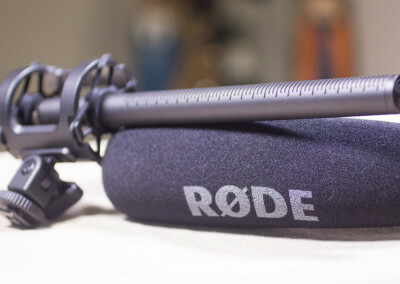 Rode NTG3 Shotgun Mic: The big boy of shotgun mics. Incredible. 2. 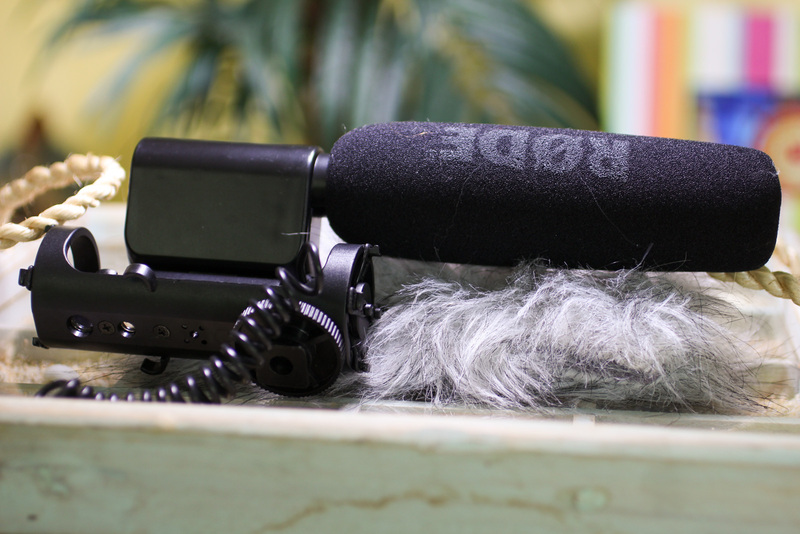 Rode VideoMic Pro: Tried and true. 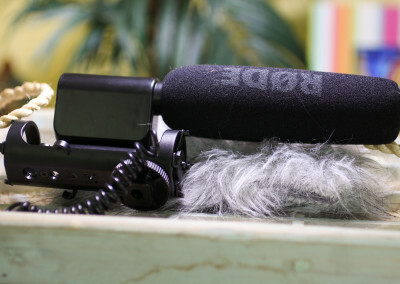 Great on-camera audio shotgun mic. 1. 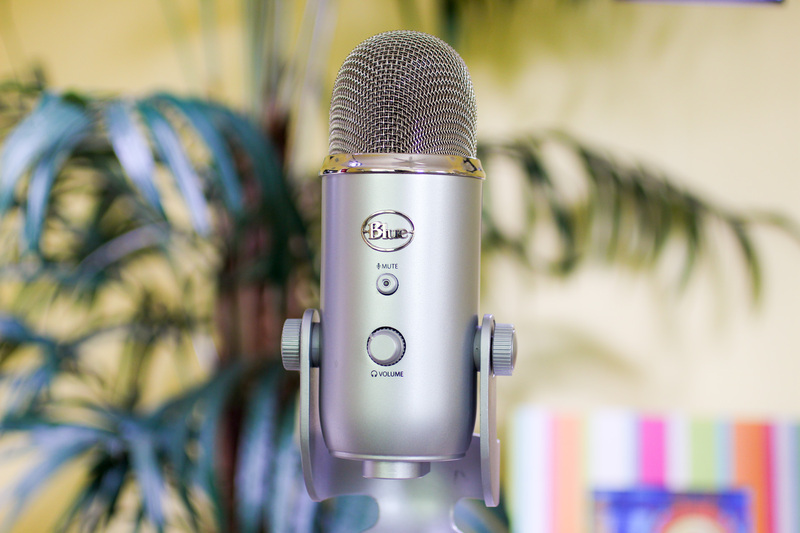 Blue Microphones Yeti USB Microphone: I love my Blue Yeti. For $100 this is a great starter kit and one I still use for making tutorials and just simple content creation on the go. USB makes it easy and love anything by Blue. High quality. Microphones are complex and you will get many opinions on the same mic. But, you just need to be aware that not all microphones are the same and your main goal in all of this is to produce the highest quality possible so your listeners enjoy your content. Bad audio will ruin even the best of content, so try to get this right. 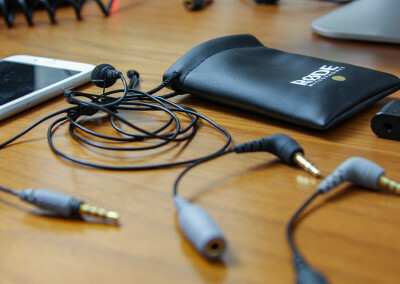 Audio is one of those pieces of your puzzle that you need to invest in. Do your homework before buying. 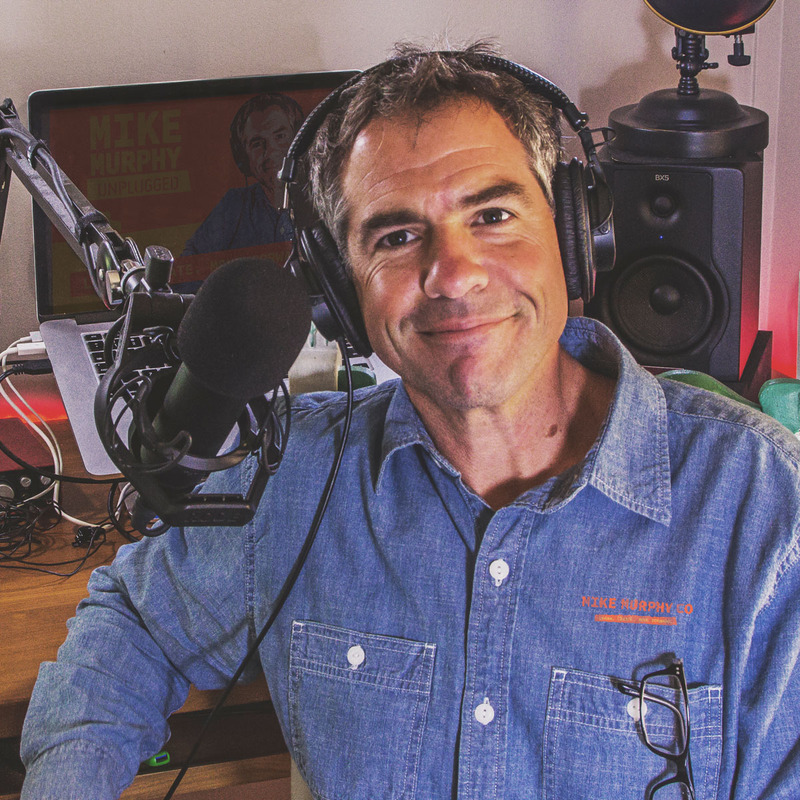 Dynamic microphones tend to be more popular with podcasters and broadcasters because they only pickup the noise in front of them and ignore the room noise. Condensers pick up everything which make them sensitive and excellent choice in a controlled studio environment. Most starter USB microphones are condensers and that is fine. It can be confusing and overwhelming, but the only thing that matters is what your ears hear. You can get good sound from a $50 microphone and bad sound from a $500 mic. Just make sure good audio is a priority in whatever you create. Disclosure: Most of the links on this page are affiliate links, meaning at no additional cost to you, I will earn a commission if you decide to make a purchase. I only recommend products I use and love and if I think will be useful for you or your brand.